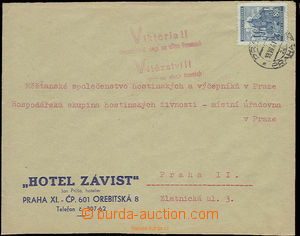 1941 commercial letter with propagandistic cancel. 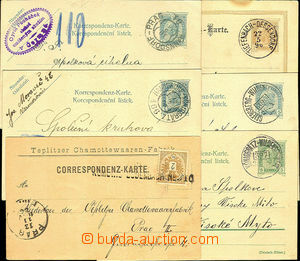 "Victoria" (without Europe in text), with 80h, Pof.42, CDS PRAGUE/ 18.VII.41, 2. day propagandistic action Victoria!, rare usage, decorative! 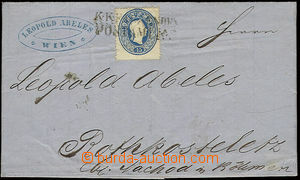 1861 folded letter with 15 Kreuzer, issue III, Mi.22 with straight line postmark train post K.K. FAHRENDES POSTAMT No.3 (track Wien - Brno - Prague), incomplete print. 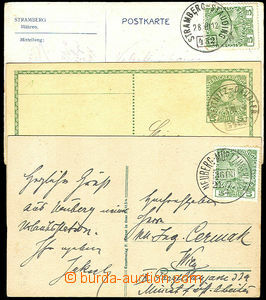 Supplemented with commercial oval cancel., on reverse arrival Nachod 6/2.